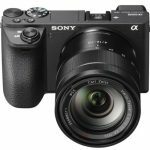 Home / Digital Camera Comparison / Sony A5000 vs. A6000 vs. NEX-6 vs. NEX-5t vs. NEX-7, what’s the difference? A6000, A5000, NEX-5T support Smartphone APP installation and A5000, NEX-5T, NEX-3N support 180-degree flipping screen which is suitable for self shot. Why suggestion in this order? Briefly, A5000 and NEX-3N only have the LCD screen of 460,800 pixels, no phase / contrast hybrid AF, thus, they are not mainly recommended. Although NEX-7 is a high-end machine, its technology is relevantly old, there is also no comparison to A6000 in its picture quality. Both Sony A5000 and A6000 use E-mount models. Just like the older NEX series, they use the same APS-C sensor, and apply years of technology based from the E-Mount lens. In other words, A5000 and A6000 are no newbies in camera, they are the new enhanced versions and extensions of the NEX series. As the latest models of NEX series, A5000 and A6000 have added the near-field transmission NFC function, as well as their related application which tighter the integration between camera and Smartphones. These new features are not supported by older models in NEX series. In addition, A5000 and A6000 also adopt a new menu interface. This interface is identical with A7/A7R and RX1/RX100, different from the old NEX graphical interface, it has a clean cut and refreshing design, simple control with no hassle in going through different options and buttons. Whether it’s for beginner or advanced, it is closer to an ideal design for both users. The graphical interface of the NEX-6 (left) has been replaced with a tabbed menu similar to the A7/R and RX1/RX100 cameras (right). 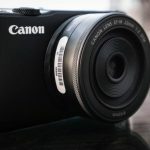 To review A5000 from an entry level, just like the older NEX3 series, its appearance integrates both NEX3 and NEX5 series. Weight wise, A5000 is as lightweight as the models of NEX3 series, it also undertakes NEX-3N’s self-shooting flip screen, the color relatively varies; but the configuration of the holding grip design is closer to the models of NEX5 series. 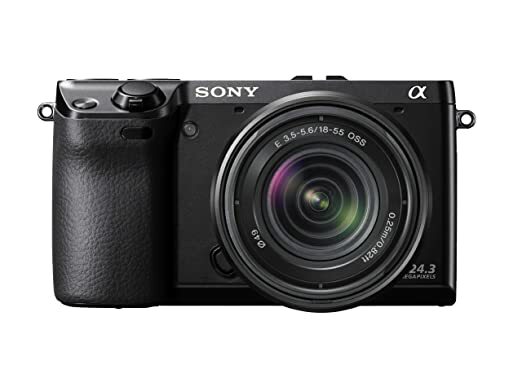 Sony A5000 is not only lightweight, the control buttons at the back are also very simple and clear, it can be operated by both entry level or advance. 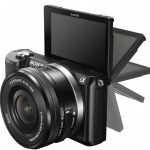 A6000 has both specialties of NEX-6 and NEX-7, it is roughly equivalent to the exterior of NEX-6, the CMOS of NEX-7, the processor of Sony A7/A7R , and the EVF of Sony RX10, it positions between NEX-5T and NEX-6, its price falls close to NEX-5 originally listed on the market. We can define A6000 as a new enhanced version of NEX-6, and with the higher-end integration of NEX-7, it adds more manipulation. A6000 has a high-quality electronic viewfinder, the viewfinder provides viewing flexibility, its speed has also improved. The A6000 has added 179 focusing points in focus feature, it also improves the focusing speed and its accuracy, with a 11 continuous shooting mode, it captures dynamic scenes with ease. NEX-5T is a small revision of 5R, besides adding NFC fast connection, the most important change is that now you can install APP as a new feature, 180 degree flip screen capture, built-in Wi-Fi. However, it does not come with a standard hot shoe, and there has no built-in electronic viewfinder. NEX-6 delivers higher quality photos, phase/contrast hybrid AF, new shoe, and built-in APP. When NEX-6 becomes available to the market, it puts its higher model NEX-7 to shame. A5000 is the small modified version of NEX5T, both come with the flip screen, it is ideal for self shot user. 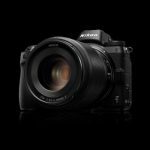 A5000 uses a new 2000w pixel CMOS and a new BIONZ X image processing engine. However, it does not come with the speed dialing function in 5T, external flash, nor the EVF viewfinder interface. Basically, A5000 is the same level of NEX-5T with different shell. The focusing speed of A6000 has rapidly improved from all the old models. Up to 179 second contrast speed can also enhance the focusing speed. With the built-in electronic viewfinder and wheel operation, this feature allows photo lovers enjoy taking photo comfortably and it’s easy in operation. Overall, A6000 is more suitable for users who are more concern with the picture quality. NEX-6 is also a very powerful camera. It comes with a built-in high-pixel EVF viewfinder, the sensation of the holding grip and operation are nice. However, other than the lower standard of A6000’s EVF viewfinder, A6000 has gone beyond NEX-6 in all other aspects, besides, they are only a few ten dollars difference in price, it’s worth to purchase. Previous The Samsung Galaxy Note 4 could have a 12 megapixels camera. Which one do you prefer… 5T or A5000?